In the medical field, both in medical treatment and in research, the cold chain is incredibly important. Hofstra University gives us a clear description of the cold chain, “The cold chain involves the transportation of temperature sensitive products along a supply chain through thermal and refrigerated packaging methods and the logistical planning to protect the integrity of these shipments.” Many kinds of medical specimens, DNA and blood are transported all over the world, every day. Every day, they encounter a number of hazards that could cause irreparable damage that will not only delay testing and research but will also cost large sums of money. Sometimes, samples that are lost are not replaceable. Cancer, Epidemiology, Biomarkers and Prevention discusses the challenges of shipping medical specimens, “Blood is collected from study participants for a variety of purposes, including as a source of DNA, and for a variety of laboratory analyses that may be done on whole blood or blood fractions, including serum, plasma, and lymphocytes. Blood or blood fractions may be shipped to laboratories and biorepositories either at ambient temperature, cooled or frozen, depending on the intended analyses. Blood processing may include fractionation, cryopreservation to preserve the viability of lymphocytes, or purification of nucleic acids. The proper storage conditions depend on a variety of factors, including the intended analyses and whether the specimens will be used within a short period or need to be stored for longer periods.” To protect medical specimens, a refrigerated shipping incubator should be used so that damage does not occur. 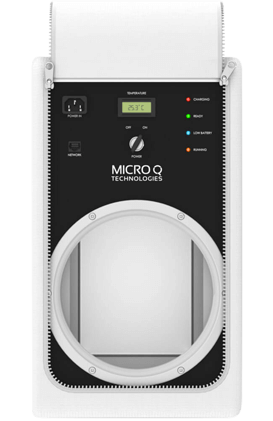 The MicroQ iQ refrigerated shipping incubator is capable of active heating and cooling. It is temperature sensitive and controlled by a microprocessor. Should it encounter changes in temperature or humidity, it can accurately adapt to the precise temperature desired. Often, when shipping over long distances, there can be significant changes in temperature and humidity, so much so that it could cause rapid heating or cooling if not continuously monitored. With the iQ active shipping device, this is no longer a concern. 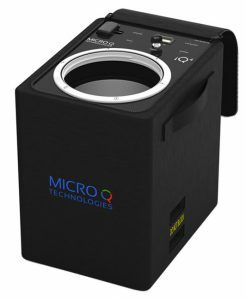 Additionally, the device is incredibly lightweight as well as quite durable. It can withstand the many challenges of shipping, including any rough handling it may encounter. The device is also the “green” choice as it is completely reusable. It can be recharged and reprogrammed and then used again. Not only will this be eco-friendly, but it will save significantly on the cost of shipping. When shipping temperature sensitive medical items such as blood, DNA, samples, pharmaceuticals and more, it is incredibly important to be accurate and safe. 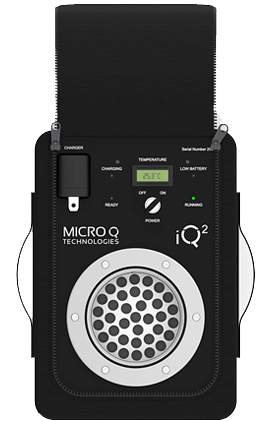 With the MicroQ iQ refrigerated shipping incubator, contents will be protected and will arrive in ideal condition for use. Temperature controlled microgravity research and scientific experiments on the International Space Station (ISS) and in low Earth orbit. 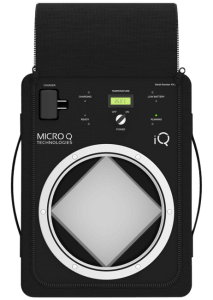 Micro Q Technologies provides transportable active heating and cooling devices for life science industries such as clinical trial and research, pharmaceutical, biological, medical, and many more. 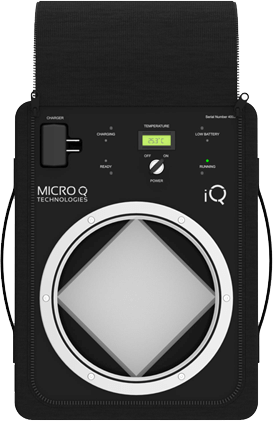 Micro Q Technologies provides ultra-precise temperature control transporting and shipping devices for the Veterinary Sciences Industry utilizing the Micro Q Patented temperature control system.